A piece of leading-edge technology will carry the flag for the Canadian automotive sector at the newly renovated Canada Science and Technology Museum in Ottawa. 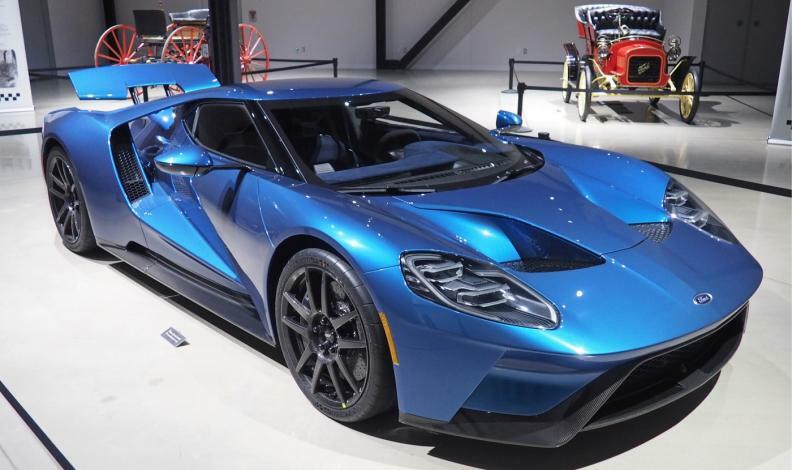 The blue Ford GT supercar, hand-built by Multimatic Inc., a Toronto-area engineering specialist, is part of a display that will mark the opening of the museum Friday after a two-year, $80-million rebuild. Bracketing the GT are two other vehicles with Canadian significance. The first is a steam-powered buggy built in 1867 by Stanstead, Que., watchmaker Henry Seth Taylor and blacksmith Joseph Mosher. It’s patterned on a similar buggy Taylor saw in Vermont. It's thought to be the first automobile made in Canada. The other vehicle on display is a handsome, red-and-black 1904 Ford Model C that was one of the first cars produced at a factory in Walkerville, Ont., which is now part of Windsor, after the formation of the Ford Motor Company of Canada. While the Taylor buggy belongs to the museum, the other two are loaners – the Model C from Ford of Canada and the GT from Ottawa businessman Richard L'Abbe, one of the first Canadians to take delivery of the limited-production supercar. In September, Ford officially presented the car to L'Abbe at Calabogie Motorsports Park, a race track L'Abbe partly owns about 100 km west of Ottawa. With an estimated price north of $600,000, the 647-horsepower GT is Ford's fastest production car ever, with a top speed of 346 km/h. Babaian said the special exhibit will continue only for three weeks but the GT will remain on display in another part of the museum for an unspecified period. Even after it leaves, auto enthusiasts will still be able to see select vehicles from the museum's 90-car collection, as well as related transportation items from snowmobiles to steam locomotives.